A modern kilt that utilizes performance athletic material – similar to board shorts, for maximum comfort and style on the trail, or wherever your adventure takes you. Sizing: measure your waist with a tape, or order 1 size bigger than your pants size for ideal fit. The Sport Kilt Hiking Kilt was everything I hoped it would be, except that the waistband was a little uncomfortable in the front when I was sitting down (fine when standing). It would be much more comfortable if the waistband/closure area was slightly padded or a bit more flexible. If not for this, I would have bought a couple more of this model. Hiking and Bike shorts changing Kilt! I bought for my husband. We like in the Smoky National Park and he is in love with the kilt. His favorite way to use it is to whip it out after a group bicycle ride and needs to change out of his biking shorts in public. Instead of hiding between car doors, or having his towel fall off of him with his pants down, he now uses the kilt! Gets a lot of comments and jealous stares from other cyclists. My hiking kilt serves as an excellent everyday kilt. Unlike my dress kilt, it is easy to put on and take off, and it can go in the washing machine. It’s a swell garment. This has been my go to kilt this summer. It is exactly what I wanted, great fit, just really pleased with it. I have purchased many kilts from this company and their customer service has been right there in the past if you do need them. Highly recommended. I’ve been an extremely satisfied user of the Sport Kilt Hiker model, since 2011. I alternated my first Sport Kilt with another hiking kilt for about 2/3’s of the entire Appalachian Trail in 2012. It was easily the most functional of all of the garments I used on the AT. The range of motion is the best feature for hiking, especially on extreme inclines. Also, the lack of chaffing and natural breeziness on hot/humid days is literally uplifting-both physically and psychologically. The Hiker also flows much better than any of the other two brands I own. Even though these kilts are my go-to garments for hiking, I also wear them to every festival I attend throughout the summer. The Hiker model never fails to get multiple positive comments. Because I just ordered my 4th Sport Kilt Hiker says it all about how much I appreciate the functionality and durability of these kilts. The descriptions don’t mention a pocket so I paid extra for pockets. Don’t waste your money. There is a pocket the center of the flap. Also, buy it bigger. The Velcro is not sewn down very well either. I wish i paid for the straps. Two weeks on the Chemin de St Jacques from Le Puy France in my new Black Watch Hiking Kilt – it is performing great. I’ve done two other caminos in an off the rack competitor’s Kilt, and won’t be going back. The hidden pockets are perfect for passport or a few euros for beer or cafe. The Velcro waistband doesn’t interfere with my pack. The weathered Black Watch tartan let’s everyone know it isn’t a ‘skirt’. Great product! Thiis is by far the most comfortable hot weather kilt out there Will be my go to kit on the North Country Trail this year! I had never worn a kilt before, but ordered this one after seeing someone participate in an obstacle course race wearing one. Seemed like a great idea, and now I have the experience to prove it. Wore this in the recent Tough Mudder in NH, and the hiking kilt performed perfectly. Not only was it comfortable, but the compliments and encouragement from others on the course gave me the extra energy I needed. And, despite being covered in at least 2lbs of mud, a quick run through the hose and it practically looked like it just came out of the package. Quick drying too. Highly recommend using the hiking kilt for your next athletic event. It’s the next best thing to a super power. Bought this for this years trek into Yosemite’s back country. Absolutely love it! I don’t know that I can ever go backpacking again with out it. The hiking kilt material was light enough on the hot summer days that I never really felt overheated. On the downside the material doesn’t hold a pleat as well as the tartan’s do, but when you are traversing the wild the straightness of your pleats isn’t really a big deal. I recommend this kilt to my fellow adventurers. 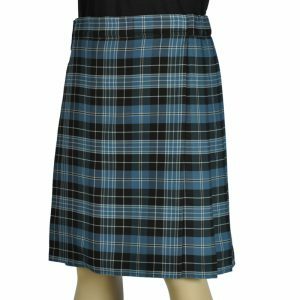 My Black Watch Hiking Kilt had a nice hand, held its pleats well and had a nice drape to it, but I returned it because the fabric inside the kilt was white and not a tartan pattern. No big deal right? When at rest this is not a problem, but it looks odd to see white inside a man’s kilt when the seam opens up a bit during activity (which it will). Also, the 8 oz (227 gram) poly blend material used on the Sports Kilts is not necessarily a heavier weight material than the 330 gram microfiber fabric used on the Hiking Kilt. The Hiking Kilt has an overall weight less than Sport Kilt (I guess) because the Sports Kilt is constructed with six extra inches of material folded over on the vertical edges that the Hiking Kilt lacks. Drying time, snag resistance and slightly heavier weight aside, I returned my Hiking Kilt and purchased a Black Watch Tartan Sport Kilt which has a tartan patten (not white) inside and I experienced great customer service in the process. The first sport kilt I bought was the Pacific Blue Hiking Kilt. I instantly loved it. I decided to get another. I ordered this with belt loops and pockets. The Black Watch might be even a little better than my pacific blue. These kilts are great for lounging or wearing out during warm days. They look great and hold an excellent pleat. Throw them in the wash and hang them and they are ready to go! I’m extremely impressed by Sport Kilts quality.